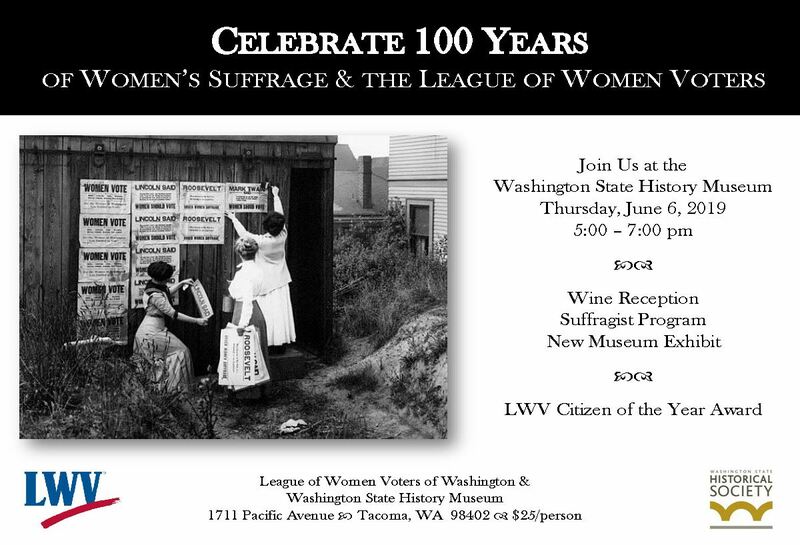 Wine reception and award ceremony in celebration of the Centennial of women's suffrage and formation of the League of Women Voters. Kicking off a year-long celebration to the 2020 Centennial. The History Museum will unveil its new portable suffrage exhibit, an award for Citizen of the Year will be presented, and suffragist song performer Linda Allen will provide entertainment. If you are planning to attend Convention this year, you can add this event to your registration. Otherwise, you can register online here for just this event!